Bone density loss can occur when new bone isn’t being created at the rate old bone is being absorbed. Although, sometimes the cause is unknown. Fortunately, studies have shown that you can increase bone density through weight lifting and proper strength training. While weight training can be intimidating to a beginner, it can be doubly nerve racking for those with bone density loss. 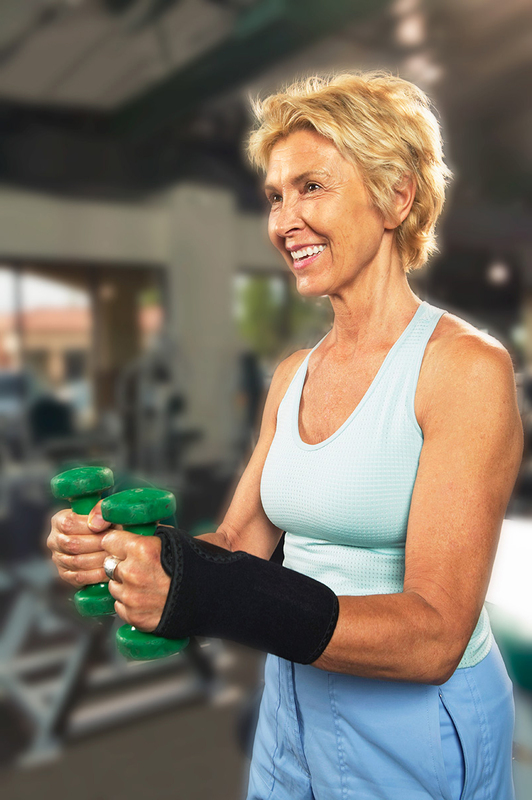 Good news is weight training can actually prevent osteoporosis-related fractures. A few days of light strength training each week can do wonders for your health in other ways too. Weight training helps build muscle strength. It also increases your body’s resting metabolic rate, causing you to burn more calories throughout the day. Furthermore, it can reduce blood pressure, it decreases the risk of osteoporosis, and improves your balance. If you’re trying to increase your bone density through weight lifting, then read these seven tips for lifting weights safely and properly. Before you lift any weights or do anything extraneous to your body, it’s important to get your heart rate up. It essentially warms up your muscles and reduces your risk of injury. You need only a 5 -10-minute workouts like brisk walking, jumping jacks, jumping rope or even dynamic stretching. It’s imperative that you use proper form and technique to lift weights. Before operating any equipment, get instruction from your gym. If you’re a real beginner, it is beneficial to talk to one our certified personal trainers here at the Fitness Studio. We guide you through every step. More importantly, we supervise or spot you as a safety precaution. 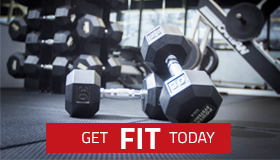 You don’t have only to lift dumbells or use the circuit machines to weight train. There are a variety of options to lifting weights such as resistance bands, weight bars, kettlebells, medicine balls, exercise balls, and the list goes on. It’s good to break up your sets by implementing sets and reps. You also need to determine the proper amount of weight to lift. How? Your muscles need to feel challenged, even slightly exhausted. But, avoid working to complete failure, and never strain through extreme discomfort. That is when you risk injury. If you can go through your sets easily, it is time to increase weight. If you feel exhausted by the second set, drop down in weight. Many people are stronger on one side of their body than the other. Having balanced strength on both sides of your body is an indicator of overall fitness. You can incorporate balance and core work concurrently with weight training to challenge the entire body simultaneously. Eventually, you are going to become familiar with strength training How do you avoid plateauing? Keep the body guessing! plateau. We suggest that you perform various new exercises and utilize the different types of equipment. If you’re getting bored with your workout, your muscles are too. Spice up your sweat sessions. It will trick your muscles and ensure that they’re working to their full potential. Keep a fitness journal to monitor your progress. Rest days are just as important as a lifting or cardio day. It also allows for your muscles to heal which makes them stronger. Strength training causes tiny tears in the muscle fibers which then heal, creating stronger muscles. The average person needs 24 to 48 hours of rest to heal in between workouts so make sure allow the proper amount of time for your muscles to rest. Listen to your body. Soreness is fine; pain is not. If you follow these seven tips for lifting weights and safely and properly, you will see results, avoid injury and can increase bone density. Still have questions? Looking to make a change? We can help! Contact the Fitness Studio for more information.